DWI charge in North Carolina – Getting charged with a misdemeanor is bad enough, but in North Carolina, DWIs are treated unlike any other misdemeanor. While a DWI is considered a misdemeanor, it is in its own special category for sentencing, expunction, and license suspension purposes. DWIs are sentenced differently than any other misdemeanor. All other misdemeanors are sentenced using four sentencing classes (class A1 to class 3). DWIs, on the other hand, are sentenced using six levels. The sentences range from aggravated level one to level five, aggravated level one being the most serious and level five being the least serious. Levels aggravated one, one, and two require mandatory jail time, while levels three, four, and five come with jail time that can be suspended. A suspended sentence will usually come with one year of unsupervised probation. If you violate the terms of probation, for example, if you acquire a new conviction, your suspended sentence may be activated. In addition to jail time and/or probation, a DWI conviction will typically come with fines, community service, and a substance abuse assessment or treatment. Click here to learn more. To determine what level you may be sentenced at, your criminal defense attorney will take a look at all mitigating factors, aggravating factors, and grossly aggravating factors. An example of a grossly aggravating factor is that someone has had a DWI conviction within the last seven years. An example of an aggravating factor is that the person was driving recklessly during the commission of a DWI. An example of a mitigating factor is that the person had a statutorily safe driving record at the time of the commission of the crime. The judge will balance these three sets of factors to determine which level you will be sentenced at. You may have heard these terms as they relate to a DWI charge in North Carolina. Unless the stop occurs as a part of a checkpoint, car accident, voluntary contact, or something of that nature, a police officer must have at least reasonable suspicion that a crime is being committed in order to stop your vehicle. This can be reasonable suspicion of DWI or of some other crime or infraction such as speeding. Click here to learn more. Next, in order to initiate an arrest for a DWI charge in North Carolina, a police officer must have probable cause that you have committed DWI. 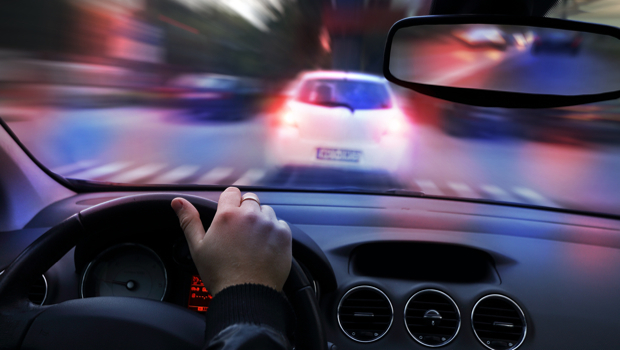 Click here to learn more about probable cause as it relates to a DWI charge in North Carolina. Click here to learn about DWI field sobriety tests. Breathalyzer test – Do I have to blow? You do not have to blow in the field, prior to being arrested. At that point, you can refuse without consequence (although, it may not seem as though you can refuse). However, if you refuse to blow after you have been arrested and given notice of implied consent offense, your license will be suspended for one year, regardless of the outcome in your case. You may, however, be able to obtain a limited driving privilege. Click here to learn more about the limited driving privilege for willful refusal. Click here to learn more about willful refusal in genera. In addition to receiving a one-year driver’s license suspension if you refuse to complete the breathalyzer test upon arrest, you will face a one-year license suspension upon conviction of DWI in North Carolina. Can I get a DWI conviction expunged? No. In North Carolina, you can never get a DWI conviction expunged. You can, however, get a DWI dismissal expunged. This is why it is important to consult with a criminal defense attorney if you are charged with a crime. For more information on expunctions, click here. Habitual DWI is a separate topic entirely. You can click here to learn more about habitual DWI in North Carolina. You can click here to learn about license restoration after habitual DWI license suspension in North Carolina. If you have been charged with a DWI in North Carolina, charged with a DUI in South Carolina, or charged with another federal or state crime in North Carolina or South Carolina, contact us to speak with a criminal defense attorney.